The Boys & Girls Club of Newburgh held its 1st Annual Stand By Me Gala on Saturday, April 18 at the Newburgh Armory Unity Center. 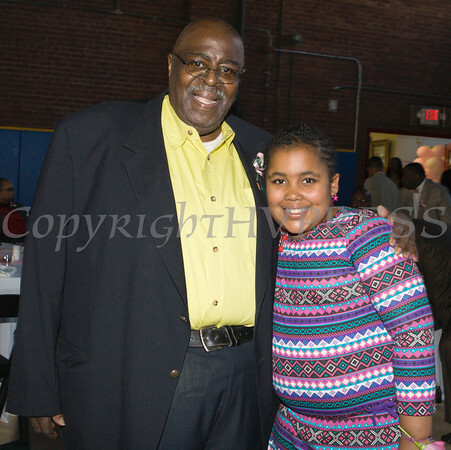 Odell Winfield received a special honor during the Boys & Girls Club of Newburgh's 1st Annual Stand By Me Gala on Saturday, April 18 at the Newburgh Armory Unity Center thanks to his granddaughter Ariana. Hudson Valley Press/CHUCK STEWART, JR.